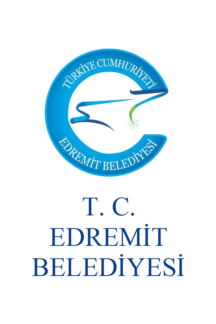 The flag of Edremit, used horizontally (photo) or vertically (photo), is white with the municipality's emblem. "T.C." stands for "Türkiye Cumhuriyeti", "Republic of Turkey"; "Belediyesi" means "Municipality". 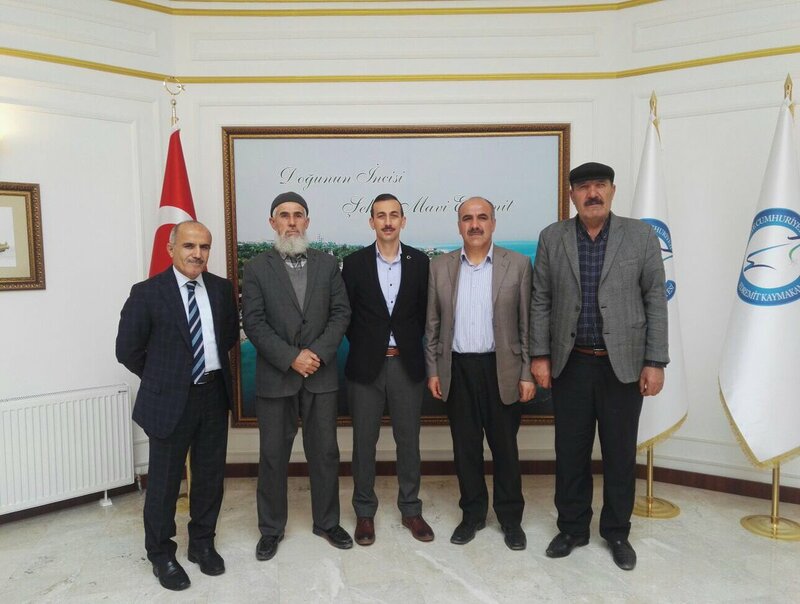 The flag of the Edremit district government (photo) is white with the government's emblem, similar to the municipality's emblem. 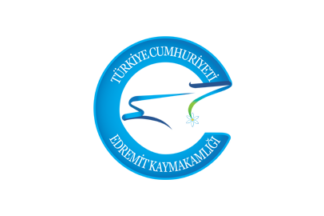 "Türkiye Cumhuriyeti" means "Republic of Turkey"; "Kaymakamlığı" means "District government".